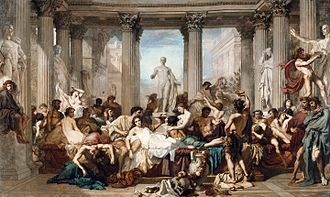 Bernhard Plockhorst (March 2, 1825 – May 18, 1907) was a German painter and graphic artist. 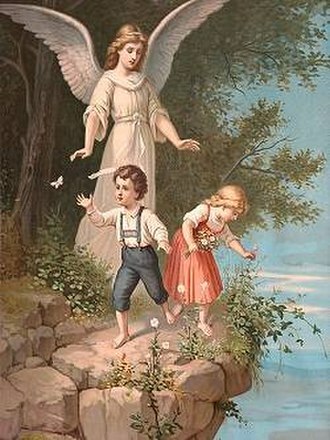 In Germany, Plockhorst is mainly known to experts today, whereas his pictures are still very popular in the United States and their reproductions can be found in many American homes and churches. Plockhorst was born in Braunschweig, Germany, where he had a 5-year education in lithography at the Collegium Carolinum, after which he trained to be a painter with Julius Schnorr von Carolsfeld in Dresden in 1848, with Carl von Piloty in Leipzig and Munich, and finally with Thomas Couture in Paris in 1853. 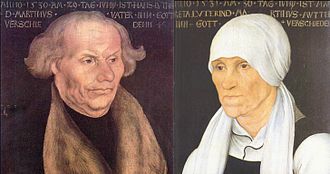 In Munich Plockhorst copied the paintings of Rubens and Tizian in the Old Pinakothek. 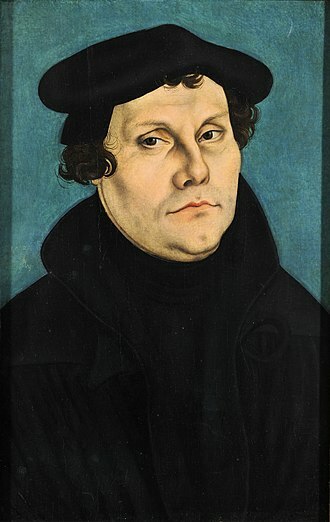 He also took study travels to Belgium, the Netherlands, and Italy before settling in Berlin where he began to paint portraits, but he also proved his talent for religious themes with a large painting (“Mary and John returning from the grave of Christ”). 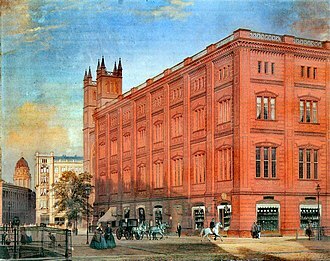 From 1866 to 1869 he was a professor at the Grandducal Saxonian Art School (Großherzoglich-Sächsische Kunstschule) in Weimar, where painter Otto Piltz was one of his pupils. 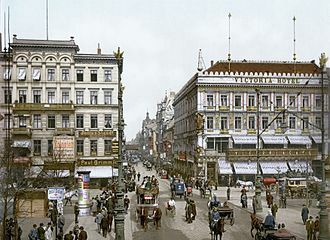 Then Plockhorst returned to Berlin where he died in 1907. Plockhorst was a member of the late Nazarene movement, a German Romantic art school (together with other German Protestant painters such as Karl Gottfried Pfannschmidt and Heinrich Ferdinand Hoffmann). Influenced by the Pre-Raphaelite Brotherhood, they had recourse to Medieval and religious art topics. 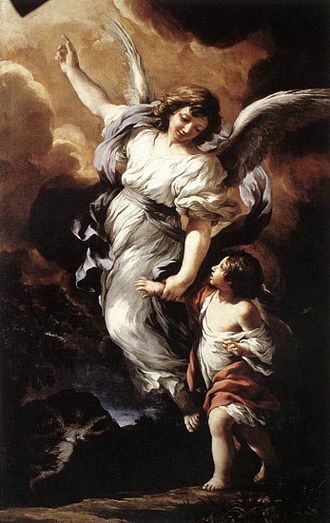 In 1872, Plockhorst exhibited a painting which was soon regarded as his chief work, “The Battle of archangel Michael with Satan for the body of Moses” (today in the Städtisches Museum, Cologne). His next major work was the altar painting “The Resurrection of Christ” for the cathedral of Marienburg, painted by order of the Prussian ministry of education and cultural affairs. Further paintings showed “Christ taking his leave of his Mother”, “Christ on his way to Emmaus”, “Christ appearing to Maria Magdalena”, “The exposure of Moses”, “The finding of Moses”, “Let the children come to me” (also called “Jesus blessing the children”), “Luther on Christmas Eve” (1887) and “The adulteress before Christ” (the latter formerly in Moscow, gallery Löwenstein). 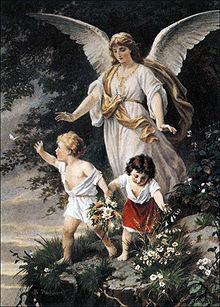 Plockhorst’s painting The Guardian Angel (1886), showing an angel and two little children close to an abyss, was reproduced as a color lithography in thousands of copies and greatly influenced the later pictures of guardian angels. The glass windows of several U.S. American churches show motifs taken from Plockhorst, e. g. “The Nativity” in the Emmanuel Episcopal Church in Shawnee, Oklahoma; "The Good Shepherd" in First Presbyterian Church in Tulsa, Oklahoma; “Moses presents the Ten Commandments to Aaron on the mount Sinai” in the First Congregational Church UCC, Owosso, Michigan; “The Good Shepherd” in the Zion Lutheran Church, Baltimore, MD, and “The Flight into Egypt” in the Stanford Memorial Church. Plockhorst’s oil painting “Noli me tangere”, which is more than two square meters large, had a remarkable fate. 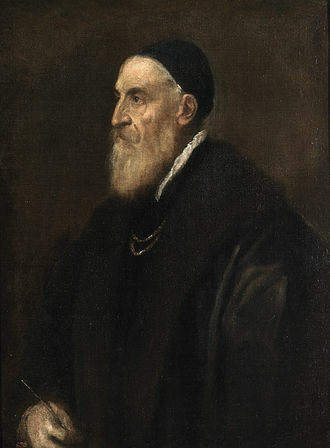 Originally, Plockhorst painted it for the German Court. 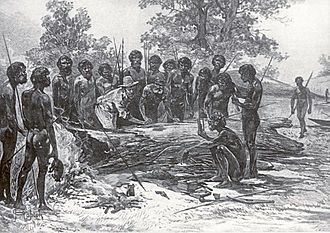 Later, it was to be exhibited in England, but on September 3, 1880 the ship Sorata, with the painting on board, was stranded on rocks between Adelaide and Melbourne, drawing water into its hold to a depth of 5.5 metres. Much of the cargo was salvageable, but the artwork was completely encrusted by a white layer. It looked as if the sea water had decomposed the color particles. In this condition Prof. Francis Rouleaux, director of the Royal Technical College of Charlottenburg (Berlin) and Commissioner General for the German Empire, took it to Melbourne, Australia. 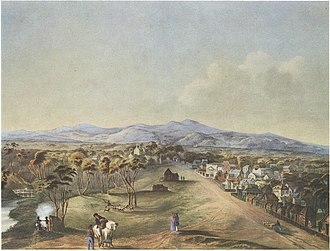 When the Melbourne International Exhibition was prepared in 1880, the art dealer Alexander Fletcher (1837–1914) bought the painting for a trifling sum and took it to the restorer George Peacock. Peacock discovered that the white layer was just plaster of Paris from the frame, which had been dissolved by the sea water. He could easily remove it, and Fletcher sold the restored painting to the National Gallery of Victoria for a considerable sum. 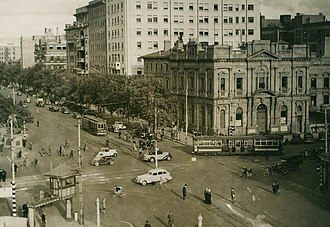 At that time, the three largest daily newspapers of Melbourne reported extensively on that clever move. Plockhorst painted a portrait of the musician Franz Liszt (1857) and created portraits of other important people like the Leipzig publisher Tauchnitz, the Leipzig honorary citizen Carl Lampe, David Hansemann and the children of the family Platzmann. Besides, he portrayed members of the German nobility like Emperor Wilhelm I and his wife Augusta (1888; today in Berlin, National Gallery). Psalter and harp. New jubilee edition by Philipp Spitta, including 24 full-page illustrations, the portrait of Spitta, further illustrations and 42 initials. ^ Thomas N. Stephens, Wreck Report for 'Sorata', Board of Trade, 17 January 1881, Marine Board Offices, Port Adelaide. Accessed 18 April 2013. ^ "Professor Francis Rouleaux", 18 October 1879, in Australian Town and Country Journal p. 737. Accessed 18 April 2013. ^ Caroline Jordan, ""Fletcher's of Collins Street"". Retrieved September 10, 2016. [dead link], in The La Trobe Journal, State Library of Victoria, Australia, no. 75, Autumn 2005, pp.77-93, hosted at www.archive.org. Accessed 18 April 2013. Wikimedia Commons has media related to Bernhard Plockhorst. Article on Bernhard Plockhorst, in: Brockhaus Konversations-Lexikon, vol. 13 (1895), p. 203. In the Hebrew Bible, Aaron was the elder brother of Moses and a Prophet of God. Islamic literature, which considers Aaron a Prophet of God, knowledge of Aaron, along with his brother Moses, comes exclusively from religious texts, such as the Bible and Qur’an. The Hebrew Bible relates that, unlike Moses, who grew up in the Egyptian royal court, when Moses first confronted the Egyptian king about the Israelites, Aaron served as his brothers spokesman to Pharaoh. Part of the Law that Moses received from God at Sinai granted Aaron the priesthood for himself and his male descendants, Aaron died before the Israelites crossed the North Jordan river and he was buried on Mount Hor. Aaron is mentioned in the New Testament of the Bible, according to the Book of Exodus, Aaron first functioned as Moses assistant. Because Moses complained that he could not speak well, God appointed Aaron as Moses prophet, at the command of Moses, he let his rod turn into a snake. Then he stretched out his rod in order to bring on the first three plagues, after that, Moses tended to act and speak for himself. During the journey in the wilderness, Aaron was not always prominent or active, at the battle with Amalek, he was chosen with Hur to support the hand of Moses that held the rod of God. When the revelation was given to Moses at Mount Sinai, he headed the elders of Israel who accompanied Moses on the way to the summit, while Joshua went with Moses to the top, however and Hur remained below to look after the people. From here on in Exodus and Numbers, Joshua appears in the role of Moses assistant while Aaron functions instead as the first high priest. The books of Exodus and Numbers maintain that Aaron received from God a monopoly over the priesthood for himself, the family of Aaron had the exclusive right and responsibility to make offerings on the altar to the God of Israel. The rest of his tribe, the Levites, were given subordinate responsibilities within the sanctuary, Moses anointed and consecrated Aaron and his sons to the priesthood, and arrayed them in the robes of office. He related to them Gods detailed instructions for performing their duties while the rest of the Israelites listened and his successors as high priest were given control over the Urim and Thummim by which the will of God could be determined. Weimar is a city in the federal state of Thuringia, Germany. It is located between Erfurt in the west and Jena in the east, approximately 80 kilometres southwest of Leipzig,170 kilometres north of Nuremberg and 170 kilometres west of Dresden. Together with the neighbour-cities Erfurt and Jena it forms the metropolitan area of Thuringia with approximately 500,000 inhabitants. Weimar is well known because of its cultural heritage and its importance in German history. 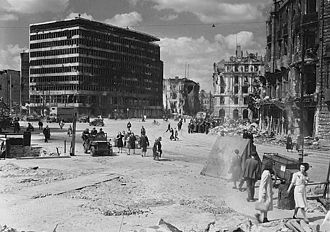 The city was a point of the German Enlightenment and home of the leading characters of the literary genre of Weimar Classicism. Until 1948, Weimar was the capital of Thuringia, many places in the city centre have been designated as UNESCO World Heritage sites and tourism is one of the leading economic sectors of Weimar. 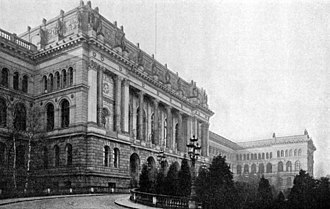 Relevant institutions in Weimar are the Bauhaus University, the Liszt School of Music, in 1999, Weimar was the European Capital of Culture. 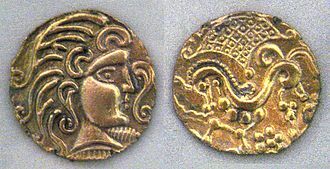 Archaeological finds dating back to the Thuringii epoch show that the Weimar part of the Ilm valley was settled early, the oldest records regarding Weimar date to 899. Its name changed over the centuries from Wimares through Wimari to Wimar and finally Weimar, it is derived from Old High German wīh-, another theory derives the first element from OHG win. 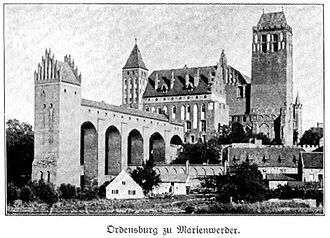 The place was the seat of the County of Weimar, first mentioned in 949, in 1062 it was united with the County of Orlamünde to the new County of Weimar-Orlamünde, which existed until the Thuringian Counts War in 1346 and fell to the Wettins afterwards. 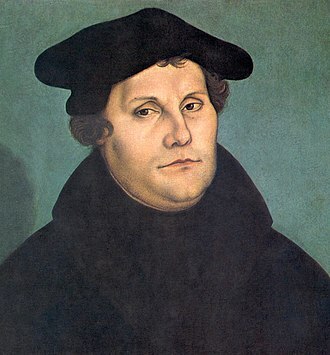 The Weimar settlement emerged around the wooden castle and two small churches dedicated to St Peter, and to St James. 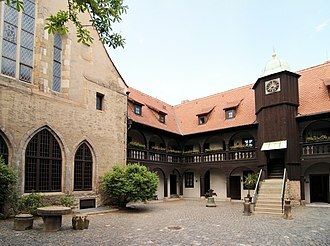 In 1240, the count founded the monastery in Oberweimar. Soon after, the counts of Weimar founded the town, which was an independent parish since 1249, from 1262 the citizens used their own seal. 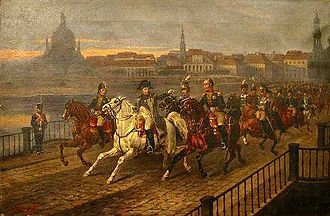 Nevertheless, the influence of the Weimar counts was declining as the influence of the Wettins in Thuringia increased. Hence, the new town was relatively marginal in a regional context. 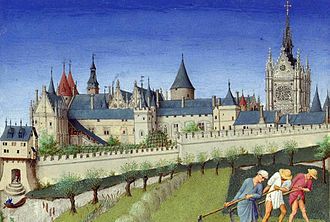 The settlement around St James Church developed into a suburb during the 13th century, after becoming part of the Wettins territory in 1346, urban development improved. The Good Shepherd is an image used in the pericope of John 10, 1-21, in which Jesus Christ is depicted as the Good Shepherd who lays down his life for the sheep. Similar imagery is used in Psalm 23, in the Gospel of John, Jesus states I am the good shepherd in two verses, John 10,11 and 10,14. From John 10, 11-18, I am the good shepherd, the good shepherd lays down his life for the sheep. He who is a hand, and not a shepherd, who doesnt own the sheep, sees the wolf coming, leaves the sheep. The wolf snatches the sheep, and scatters them, the hired hand flees because he is a hired hand, and doesnt care for the sheep. I know my own, and Im known by my own, even as the Father knows me, I lay down my life for the sheep. I have other sheep, which are not of this fold, I must bring them also, and they will hear my voice. They will become one flock with one shepherd, therefore the Father loves me, because I lay down my life, that I may take it again. No one takes it away from me, but I lay it down by myself, I have power to lay it down, and I have power to take it again. 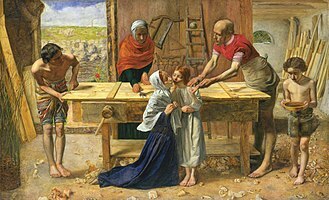 The Pre-Raphaelite Brotherhood was a group of English painters and critics, founded in 1848 by William Holman Hunt, John Everett Millais and Dante Gabriel Rossetti. The three founders were joined by William Michael Rossetti, James Collinson, Frederic George Stephens and Thomas Woolner to form the seven-member brotherhood and their principles were shared by other artists, including Marie Spartali Stillman and Ford Madox Brown. A later, medievalising strain inspired by Rossetti included Edward Burne-Jones, the groups intention was to reform art by rejecting what it considered the mechanistic approach first adopted by Mannerist artists who succeeded Raphael and Michelangelo. 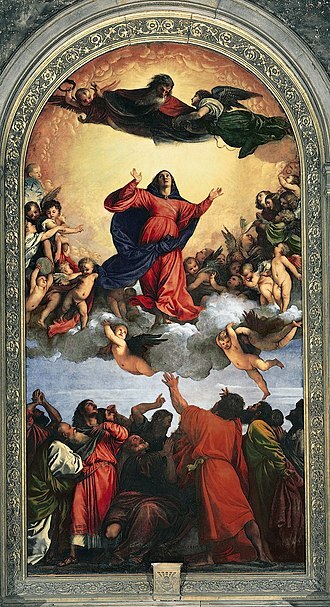 Its members believed the Classical poses and elegant compositions of Raphael in particular had been an influence on the academic teaching of art. In particular, the group objected to the influence of Sir Joshua Reynolds, founder of the English Royal Academy of Arts, to the Pre-Raphaelites, according to William Michael Rossetti, sloshy meant anything lax or scamped in the process of painting. Any thing or person of a commonplace or conventional kind, the brotherhood sought a return to the abundant detail, intense colours and complex compositions of Quattrocento Italian art. The group associated their work with John Ruskin, an English critic whose influences were driven by his religious background, the group continued to accept the concepts of history painting and mimesis, imitation of nature, as central to the purpose of art. 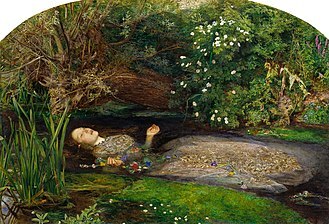 The Pre-Raphaelites defined themselves as a movement, created a distinct name for their form of art. The groups debates were recorded in the Pre-Raphaelite Journal, the Pre-Raphaelite Brotherhood was founded in John Millaiss parents house on Gower Street, London in 1848. At the first meeting, the painters John Everett Millais, Dante Gabriel Rossetti and Millais were students at the Royal Academy of Arts and had met in another loose association, the Cyclographic Club, a sketching society. At his own request Rossetti became a pupil of Ford Madox Brown in 1848, at that date and Hunt shared lodgings in Cleveland Street, Central London. Hunt had started painting The Eve of St. Agnes based on Keatss poem of the same name, as an aspiring poet, Rossetti wished to develop the links between Romantic poetry and art. Ford Madox Brown was invited to join, but the more senior artist remained independent but supported the group throughout the PRB period of Pre-Raphaelitism, other young painters and sculptors became close associates, including Charles Allston Collins, Thomas Tupper, and Alexander Munro. The PRB intended to keep the existence of the secret from members of the Royal Academy. The principles were deliberately non-dogmatic, since the brotherhood wished to emphasise the personal responsibility of artists to determine their own ideas. Influenced by Romanticism, the members thought freedom and responsibility were inseparable, they were particularly fascinated by medieval culture, believing it to possess a spiritual and creative integrity that had been lost in eras. 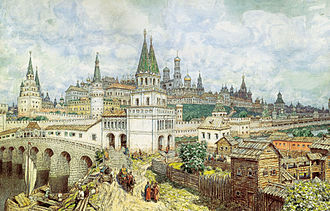 The emphasis on medieval culture clashed with principles of realism which stress the independent observation of nature, in its early stages, the Pre-Raphaelite Brotherhood believed its two interests were consistent with one another, but in years the movement divided and moved in two directions. Tulsa /ˈtʌlsə/ is the second-largest city in the state of Oklahoma and 47th-most populous city in the United States. As of July 2015, the population was 403,505 and it is the principal municipality of the Tulsa Metropolitan Area, a region with 981,005 residents in the MSA and 1,151,172 in the CSA. 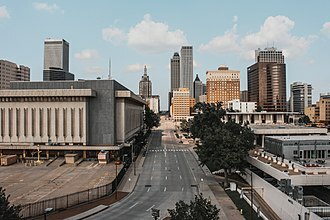 The city serves as the county seat of Tulsa County, the most densely populated county in Oklahoma, with urban development extending into Osage, Tulsa was settled between 1828 and 1836 by the Lochapoka Band of Creek Native American tribe. For most of the 20th century, the city held the nickname Oil Capital of the World, once heavily dependent on the oil industry, Tulsa experienced economic downturn. Subsequent diversification efforts created a base in the energy, aviation, telecommunications. The Tulsa Port of Catoosa, at the head of the McClellan-Kerr Arkansas River Navigation System, is the most inland port in the U. S. with access to international waterways. Two institutions of education within the city have sports teams at the NCAA Division I level, Oral Roberts University. It is situated on the Arkansas River at the foothills of the Ozark Mountains in northeast Oklahoma, the city has been called one of Americas most livable large cities by Partners for Livable Communities and Relocate America. FDi Magazine in 2009 ranked the city no.8 in the U. S. for cities of the future, in 2012, Tulsa was ranked among the top 50 best cities in the United States by BusinessWeek. People from Tulsa are called Tulsans, the area where Tulsa now exists was considered Indian Territory when it was first formally settled by the Lochapoka and Creek tribes in 1836. They established a settlement under the Creek Council Oak Tree at the present day intersection of Cheyenne Avenue. This area and this tree reminded Chief Tukabahchi and his group of trail of tear survivors of the bend in the river and their previous Creek Council Oak Tree back in the Talisi. 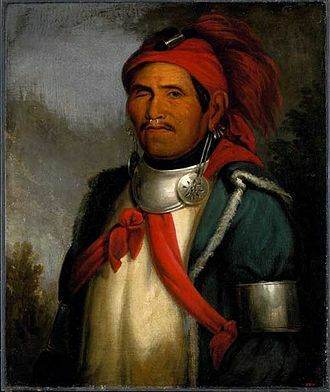 They named their new settlement Tallasi, meaning old town in the Creek language, the area around Tulsa was settled by members of the other so-called Five Civilized Tribes who had relocated to Oklahoma from the Southern United States. 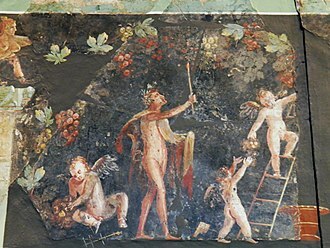 Allegory of Christ as the Good Shepherd, 3rd century. Michael Novak (shown here in 2004), has been one of the many speakers at Stanford Memorial Church in its history. Princess Augusta of Prussia 1853.